The Adventures of Berto and Kwala: Hollywood Celebrities Support Pacquiao Despite Loss. 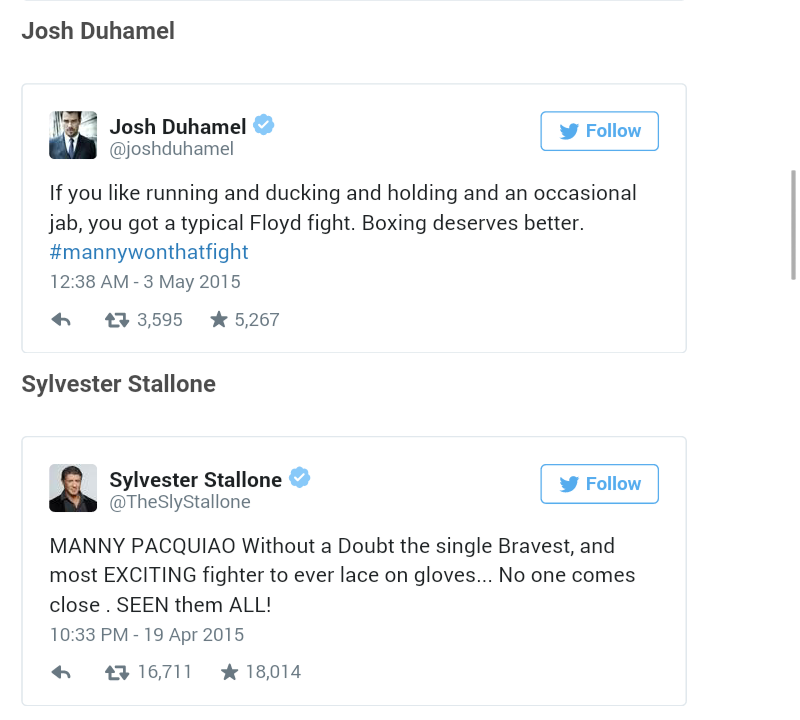 Hollywood Celebrities Support Pacquiao Despite Loss. The Filipino pride lost the "Fight of the Century". 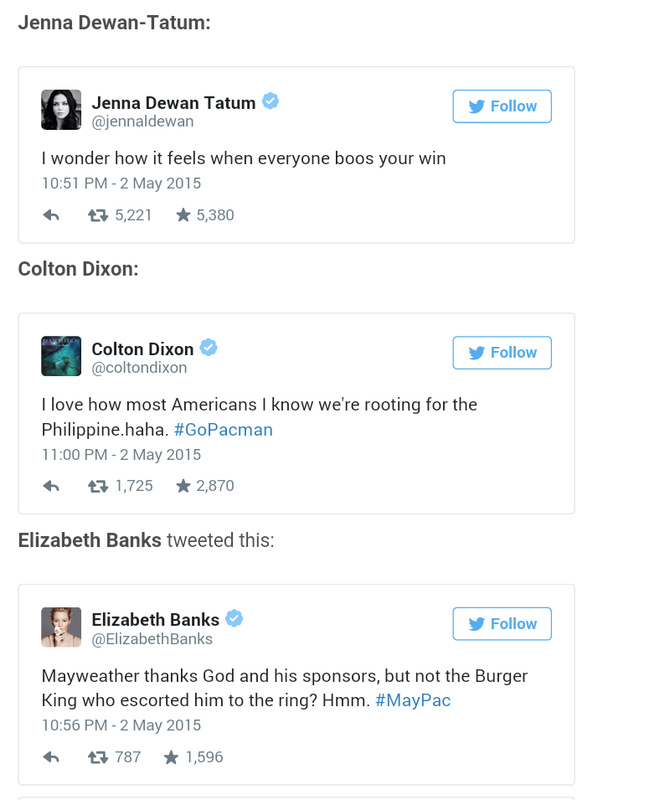 I just took comfort in reading tweets from Hollywood celebrities who still believed in Manny Pacquiao. I wonder what's next for the Filipino champ?